2019 will be a watershed moment for global information technology (IT). It will mark the first time that the commercial 5G service will go operational nationwide in South Korea. Studies suggest that the 5G technology will offer data transmission speeds 10 to 100 times faster than the current 4G Long-Term Evolution (LTE) networks. This will not only allow faster exchange of data, it will open up new possibilities for the application of Artificial Intelligence (AI) in areas such as development of autonomous vehicles or drones and construction of smart cities, among others. This Issue Brief will explore the process by which South Korea has moved forward with the initial stages of this process and point out some of the challenges associated with the transition to a new nationwide IT infrastructure. According to a report released by the KT Economic and Management Research Institute,7 South Korea’s 5G network is expected to inject at least KRW 30.3 trillion (USD 30.3 billion)8 into the South Korean economy by 2025, which will be 1.51 percent of the country’s gross domestic product (GDP) in 2025. The report estimates that this number would grow to at least KRW 47.8 trillion (USD 47.8 billion) by 2030 (2.08 percent of the GDP). Companies are striving to develop new 5G services that can yield such growth. While there are clear benefits to the nationwide deployment of 5G services, South Korea must also address some serious concerns related to its dependence on Chinese equipment and technology. In particular, LG U Plus relies on Huawei equipment and technology for some of its 5G network. As of December 2018, 5,804 5G base stations have been installed nationwide by the three major mobile carriers. Among them, 4,133 stations are operated by LG U Plus in Seoul and Daejeon metropolitan area.14 While it is not clear how many of these stations are linked to Huawei, there is growing pressure on LG U Plus to exercise greater caution and transparency in its utilization of Chinese equipment and technology. These incidents, while not isolated, have raised concerns among many countries about the national security implications of relying on Chinese technology. According to an unpublished memo released by the U.S. National Security Council on January 30, 2018, China has invested quite heavily in 5G network development.21 The report goes on to recommend that the U.S. must temper its dependence on China’s 5G technology. This view is widely shared among other countries such as Australia, Canada, New Zealand, Japan, France, Germany, and the Czech Republic. South Korea must begin to take this threat seriously given that its government agencies continue to be the target of cyberattacks from mainland China (Figure 3). Both hardware and source code hackings pose a serious threat to South Korea’s national security. South Korean authorities are currently investigating how many Supermicro motherboards are being used in the country and are considering remedial measures to address this security weakness.24 However, the government response related to the usage of Chinese equipment in 5G networks has been relatively subdued. The official position is that the South Korean government will refrain from intervening directly in the day-to-day operations of private telecommunication companies.25 Instead, the government has encouraged LG U Plus to respond to these security concerns through third-party inspection of Huawei source codes. The results of this finding is likely to be made public during the first half of 2019. 5G is also only a part of the story. South Korea must seriously reconsider its dependence on Chinese technology and equipment in 4G LTE. This is because the transition to 5G will be phased in over time with 4G LTE expected to play an important role in this transition. This is especially so given the fact that the 5G network will initially operate in a Non-Standalone (NSA) mode. That is, the 5G services will utilize existing LTE networks in the initial onset of its deployment. This is an intermediate temporary arrangement which is expected to be phased out in the long run as the 5G infrastructure becomes more robust and established. This is also partly why the mobile carriers that provided the 4G LTE services are also the preferred providers of the 5G network. Based on available data, Huawei gears account for a small but significant portion of the total 4G wireless network (Table 2, Figure 4). The 5G network holds many promises for South Korea’s economy and society. However, there are significant risks associated with the government’s decision to permit the use of Chinese equipment and technology. 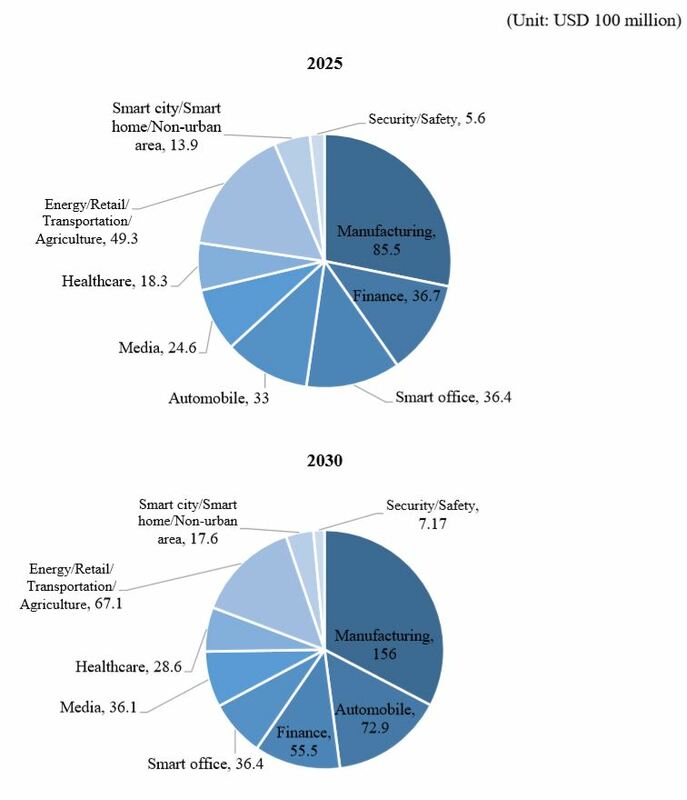 South Korea has attempted to manage this risk through diversification of equipment and service providers. However, this does little to address the vulnerabilities in the network and which can be exploited by outside actors. More stringent regulation and oversight are critical to safeguard South Korea’s national security. These efforts must also move beyond a narrow focus on 5G. Naver, South Korea’s biggest web portal, is reportedly using Huawei equipment and technology in its new Internet Data Center (IDC). Given that the company offers cloud services for various government agencies and public entities, this decision has raised some eyebrows in South Korea. Naver executives claim that Huawei devices and equipment are not used in the Pyongchon IDC, which handles all cloud services for government and public institutions.29 This, however, does not address the potential security breach in the private domain. Due to Huawei technology’s strong price competitiveness, dependence on Huawei equipment extends beyond South Korea’s financial institutions to other key areas of the economy. For instance, Huawei has been chosen to supply the backbone networks for both the Korea Securities Computing Corporation31 (Koscom) and the Korea Electric Power Corporation (KEPCO).32 Huawei also provides the core equipment for telecommunications systems in Seoul Metro lines Nos. 1 to 4 and Nos. 7 and 8.33 These arrangements together with past pattern and practice suggest that South Korea is vulnerable to potential cyber-attacks in strategic sectors of the economy. It is important that the South Korean government takes these threats seriously and attempt to find a robust solution to address the vulnerabilities in its IT infrastructure. One possibility is to phase out the South Korea’s reliance on Chinese equipment and technology. 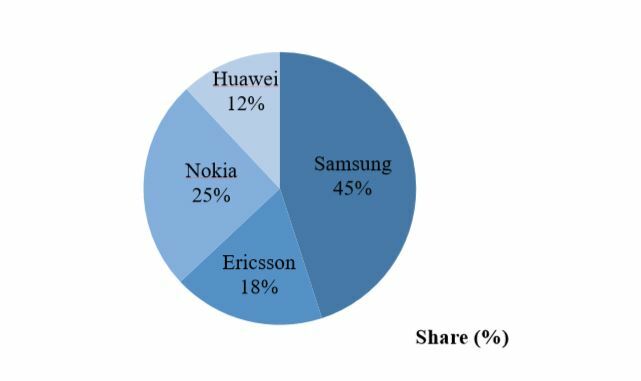 This is justifiable in the sense that there are adequate alternatives to Huawei, such as Samsung, Nokia, and Ericsson. The other is to continually invest in the development of better cybersecurity system. It is important to recognize that there is no single one-size fits all solution to this problem – that is, cybersecurity requires continual adaptation and development. Finally, instead of leaving cybersecurity to individual firms, it may be best to pool the expertise and resources of both the public and private sector. Developing a more cooperative and open arrangement between the government and businesses may be an ideal approach to addressing this shortcoming. 1. The government urged mobile carriers to make 5G consumer service available at affordable price. IBK Economic Research Institute, 5 Sedae Idongtongsin(5G)i Gajyeool Mirae: Jungso Tongsinjangbigieobege Hojaeinga (June, 2018); LG Economic Research Institute, 5G Service Ga Neomeoya Hal Gwajedeul (February 9, 2018). 2. IBK Economic Research Institute, Op. Cit. ; LG Economic Research Institute, Op. Cit. 3. National Assemblyman Song Huigyeong, Tongsin3sa 5G Tuja Yeoryeokbujok, Yesangaek Mot Michineun 7 Jo 5000 Eokwon (October 11, 2018). 4. As of November 30, 5,804 5G base stations were set up across the country by the three mobile carriers. Among them, 3,858 (66.5%) stations were established in the Seoul Metropolitan area, whereas only 173 (2.9%) stations were set up in Busan. National Assembly Yun Sangjik, Idongtongsinsabyeol 5G Gijiguk Singo Hyeonhwang (December 7, 2018). 5. IBK Economic Research Institute, Op. Cit. 7. KT Economic and Management Research Institute, 5G Ui Sahoegyeongjejeok Pageubhyogwa Bunseok (August 1, 2018). 8. We assume an exchange rate of USD 1 = KRW 1,000. 9. National Assembly Song Huigyeong, Op. Cit. 11. KT Economic and Management Research Institute, Op. Cit. 12. Ministry of Science and ICT (MSICT) Press Release, Mingwani Sonjabgo 5G Meokgeori Balgul Naseonda (October 4, 2018). 13. If a company’s employment rate grows by more than 5 percent year-to-year, there is an additional one percent deduction in addition to the two percent baseline deduction. 14. National Assembly Yun Sangjik, Op. Cit. ; Lee Sangjae, “Guknae Yuseonmang Kkwak Jabeun Huawei, 2inja ChepoBulttong Tuina,” JoongAng Ilbo, December 9, 2018. 16. Carbon Black, “Destructive Cyberattacks Increase Ahead of 2018 Midterm Elections,” Quarterly Incident Response Threat Report, November 2018. 17. United States of America v. Huawei Device Co., LTD. And Huawei Device USA, Inc., United States District Court for the Western District of Washington at Seattle. Indictment (No. CR19-010), January 16, 2019. 18. Joan Tilouine and Ghalia Kadiri, “A Addis-Abeba, le siège de l’Union africaine espionné par Pékin,” Le Monde, January 26, 2018. 19. Jordan Robertson and Michael Riley, “The Big Hack: How China Used a Tiny Chip to Infiltrate U.S. Companies,” Bloomberg Businessweek, October 4, 2018. 20. Gwon Bongseok, “Bloomberg Choecho Bodo ‘Supermicro Hacking chip’ Sageon Jinsileun,” ZDNet Korea, December 23, 2018. 22. National Assemblyman So Byeonghun, Jinanhae Jeongbubucheo〮Gwangyeokdanche Hacking Sido 7Man 5,724Geon (October 13, 2018). 23. National Assemblyman Park Juseon, Park Juseon Uiwon, “Oegyobu Hackingsido Choegeun 5Nyeongan 4Man2Cheonyeogeon” (October 1, 2018). 24. The National Intelligence Service (NIS) manages cybersecurity for government and public organizations while the Ministry of Science and ICT (MSICT) handles companies in the private sector. Im Mincheol, ‘Jeongbu “Portal·Tongsinsa Supermicro Server Hyeonhwang Josajung”,’ ZDNet Korea, October 16, 2018. 25. Kim Dongpyo, ‘Jeongbu “Huawei 5G Boan Munje, Itongsa Seuseuro Gyeoljeonghaeya”,’ Asia Business Daily, October 4, 2018. 26. Park Sungwu, “中 Huawei Tongsinjangbi Doib Chujin LG U plus, Boan Issue e ‘Jinttam’,” Chosun Biz, October 31, 2013; Seong Hocheol, ‘LG U plus “Oebu Internet Manggwa Bunridwae 中 Huawei e Tongsinjeongbo Yuchul Wheomseong Eobseo”,’ Chosun Biz, November 1, 2013. 27. Park Jongsun and Han Byeonghwa, “5G Sangyonghwa Service Sunhang Jung!,” Eugene Mid-Small Cap Issue Report, September 18, 2018. 28. Park Jongsun and Han Byeonghwa, Op. Cit. 29. Lee Gyeongtak, “Jeongboyuchul uryeoedo Huawei Jangbi Sucheondae Gumaehan Naver,” Digital Times, April 24, 2018. G-Cloud is a government cloud computing platform for central administrative agencies. Public officials in local governments maintain their own cloud system. Private-sector cloud services must comply with strict security requirements established by the Korea Internet & Security Agency (KISA) and the National Intelligence Service (NIS) to have access to government and public organizations. The Special Committee on the Fourth Industrial Revolution under the National Assembly, Gukhoe 4 Cha Saneobhyeokmyeong Teukbyeolwwonhoe Hwaldonggyeolgwabogoseo (May 2018). 30. Kwon Gyeongwon, “‘5G Jangbi〮Yuseonmang Eotteokehana’…Huwawei risk e Gosimhaneun Hankuk,” Seoul Economic Daily, December 10, 2018. 31. Koscom is the financial IT solution company owned by the Korea Exchange (KRX). 32. Lee Sangjae, Op. Cit. 33. Baek Jiyeong, “‘Gagyeok Huryeochigi’ 中 Huawei Gongpo…Gukga Gigan Infrakkaji Doksik Uryeo,” Digital Daily, May 23, 2018. 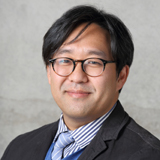 Hong Sanghwa is a Research Associate at the Asan Institute for Policy Studies. Prior to joining the Asan Institute, he served as an instructor of International Relations at the Korea Air Force Academy. He received a B.A. in Politics from School of Oriental and African Studies(SOAS), University of London, and an M.A. in International Relations from the University of Warwick. His research interests include international relations of Northeast Asia and international relations theory.